Forklift Trucks for sale in Ghana, West Africa. 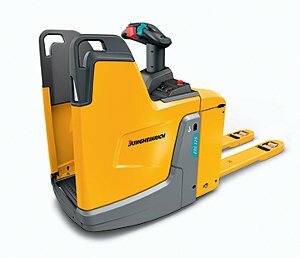 JUNGHEINRICH Forklifts offers more than 26 unique Forklift Trucks models with capacities ranging from 2,000-19,800 pounds. for complete Warehouse Systems - RESITECH provides turn key solutions! 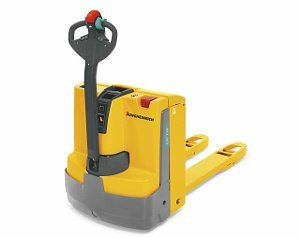 JUNGHEINRICH Electric Counterbalance Forklift Trucks can complete two consecutive shifts without the need for battery replacement or top-up charging of the Forklift Trucks. This saves time, energy and reduces costs in operating your Forklift Trucks. 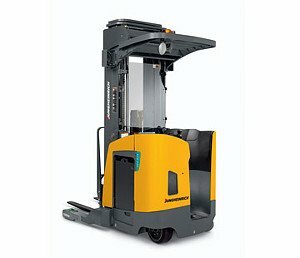 JUNGHEINRICH Electric Forklift Trucks will maximise your throughput. Impressive performance with minimal energy consumption. Our Forklift Trucks are available with cutting edge Li-ion technology or tried-and-tested lead-acid batteries. 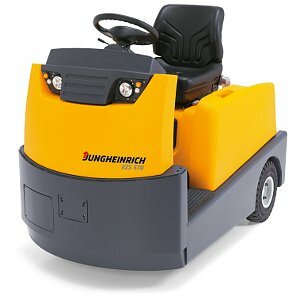 JUNGHEINRICH Forklift Trucks are the only Forklift Trucks that run two shifts on a single charge. 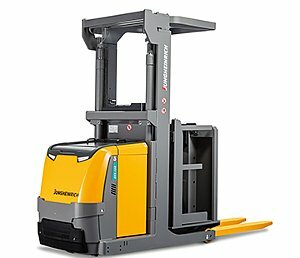 The JUNGHEINRICH ECE Series 1, 2 and 3 low level Order Picker Forklift Trucks are the 'workhorses' of your Warehouse up to the second racking level. The transition to the medium/high level order picker Forklift Trucks are represented by our EKS Series 1 Forklift Trucks with a picking height of up to 4.60 m.
JUNGHEINRICH Electric Pedestrian Pallet Forklift Trucks are easy to handle, extremely manoeuvrable and safe in every way with the Forklift Trucks Energy consumption reduced by up to 25%. Reach Truck Forklift Trucks offer two major advantages: The first is their compact construction, while the second is the amazing lift height of up to 13,000 millimetres. 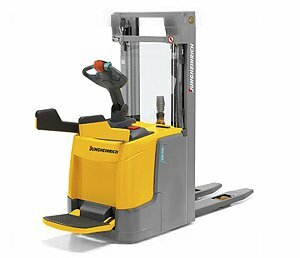 JUNGHEINRICH Stacker truck Forklift Trucks are ideal for transporting pallets quickly and safely from A to B, but can also lift loads up to raised platforms. We offer the perfect solution for any transport distance or lift height. We are also happy to advise you regarding financing options for your electric stacker Forklift Trucks. Whatever the job, whatever the location: With our Electric Tow Tractor Forklift Trucks, you will be well equipped to tackle any logistical challenge. 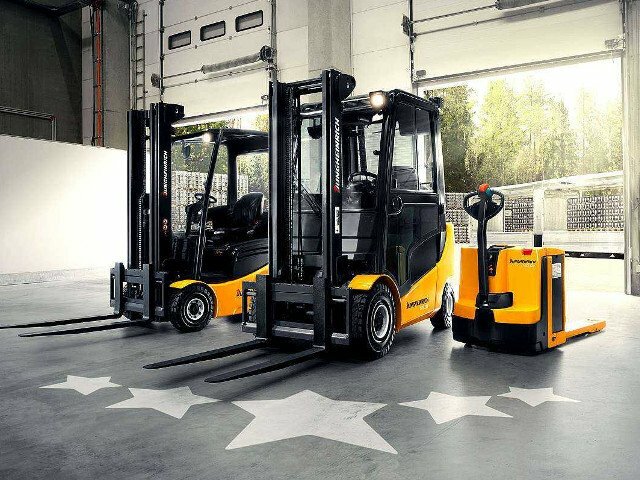 JUNGHEINRICH Forklift Trucks carry loads weighing up to 28 tons with utmost efficiency and flexibility. If you transport large quantities of goods and heavy loads across short distances on a daily basis, you will soon reap the benefits of using our manual hand pallet trucks. Thanks to their high capacity of up to three tons and excellent manoeuvrability in even the tightest of spaces, hand pallet trucks represent ideal Warehouse aids. 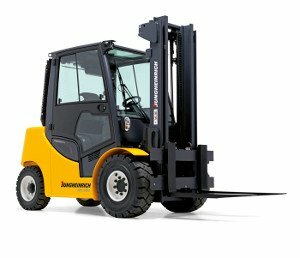 We are available to help you make the process of warhouse transport and storage faster and safer JUNGHEINRICH Forklift Trucks Ghana. 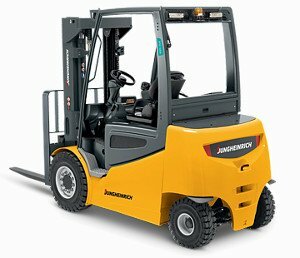 Introducing JUNGHEINRICH Forklift Trucks in Ghana. RESITECH is constantly available to serve you in Ghana and neighboring countries! © 2007-2019 Forklift Trucks | RESITECH Ghana Ltd.